NEW HAVEN - The Connecticut Open tennis tournament is leaving New Haven after a 21-year run in the city, organizers said Friday. 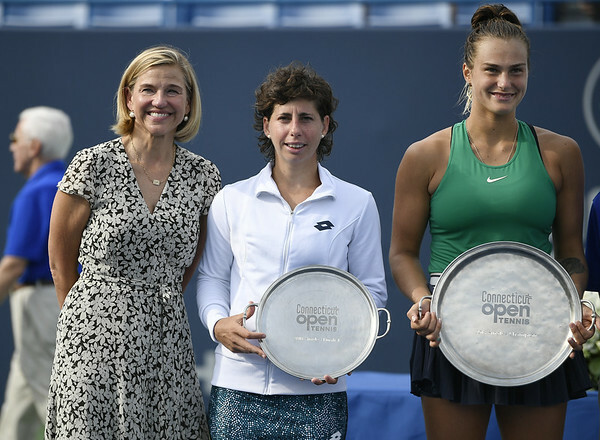 “It has been an amazing 21-year run for women's professional tennis in New Haven, and we are truly grateful to all the fans, volunteers, players, media and sponsors involved,” tournament director Anne Worcester said. “We remain hopeful that professional tennis will return to New Haven in the very near future,” Harp said. “It stayed in New Haven due to efforts by many people when there was almost certainty five years ago that it would leave for another state. Five additional years of economic impact, marketing of the state around the world, and year-round community outreach programs is something to be celebrated,” said Mark Ojakian, who helped to save the tournament when he was former Gov. Dannel P. Malloy's chief of staff. Posted in Newington Town Crier, General Sports, Newington News on Friday, 1 February 2019 14:35. Updated: Friday, 1 February 2019 14:37.